The Super B 5200 Li-ion battery contians a very high capacity and has lightweight (just 850 gram / 1.87 lb, about 80% weight reduction). The 13.2 V, 5200 mAh Lithium SuperB 5200 battery has a long life span and low self-discharge. The dimensions of the Super B B7800 battery are only 114 x 62 x 81 mm (LxWxH). PLEASE NOTE: The capacity is relatively higher than a lead battery with the same capacity. This newly developed Super B battery B5200 is designed to replace the much heavier 10 to 12 Ah lead/acid battery. 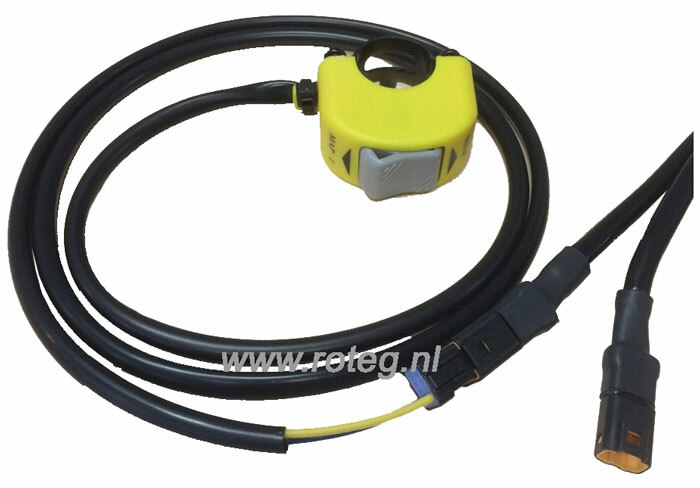 The Super B B5200 Lithium battery is specially developed for semi-heavy motorcycles and engines (up to 1000cc 4 stroke and 300 cc 2-stroke) with semi-high compression. - Yamaha / Honda / Suzuki / BMW / Super Bike 1000cc, all models. - KTM 300cc EXC 2-stroke, all models. Enduro 450cc bikes, all models. - Yamaha / Honda / Suzuki / Super sport 600cc, all models. - 450cc dirt bikes and 450cc ATV, all models. The Super B 5200 starter battery is based on the safe Lithium Iron Phosphate technology (LiFePO4), better known as Lithium Ion. 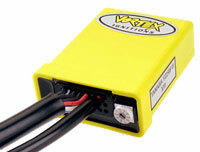 The Super B 5200 starter battery delivers up to 300 Cranking Amps. Super B 5200 refers to 5.2 Ah (Amps/Hour), which represents the real nominal capacity under maximum continuous load. How different this is from lead / acid batteries where manufactures provide a 20 hour rating. For example the 10 Ah lead / acid batterie can be discharged over a period of 20 hours with a 0.5 Amp load. This is not very practical, as the same 10 Ah battery discharged with a 2,5 Amp load, for example a 25 Watt light bulb, will yield no more than 2.2 Ah of energy. The lead-acid battery, therefore, has less capacity when the load increases, which means that you can start more often with the super B. 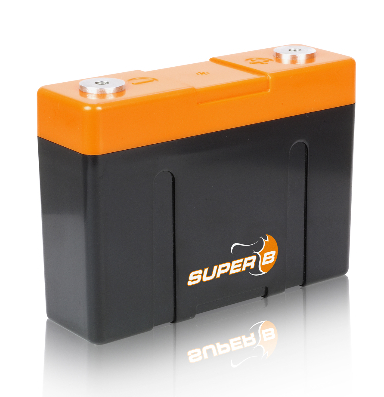 We use a 10-second rating instead of CCA for the super B 5200 battery. The 10-second rating is easy to understand: it represents the amount of current a battery can produce during 10 seconds without being damaged. The super B 5200 can deliver a current of 300 Amps during 10 seconds. The batteries can deliver higher currents for shorter periods and lower currents for longer periods. 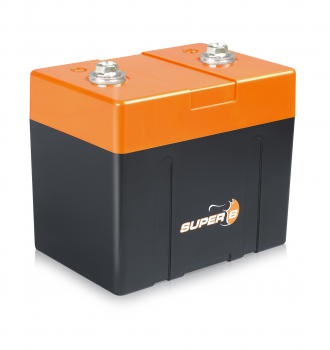 The super B 5200 battery can be charged with almost all motorbikes, up to a maximum of 14.4 Volts. Do not overcharge, as this will damage the battery. 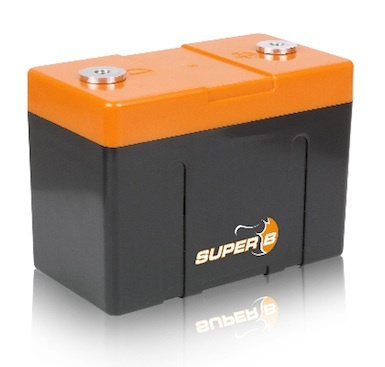 The super B charges much faster than conventional batteries: charging a lead- acid battery takes 7 to 14 hours, during which the internal resistance increases and the charge current decreases. 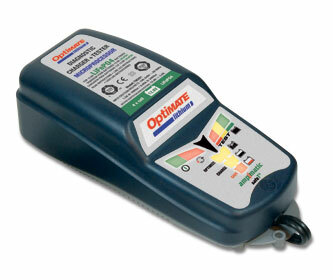 The super B 5200 can be charged within 1 hour at a charge current of 6 Amps. If the charge current is increased to 12 Amps, it will charge in 30 minutes. Do not charge the battery with more than 20 Amps as this will damage the battery.